The Rose Tower, also known as Rose Rayhaan by Rotana, is a 72-storey, 333 m (1,093 ft) hotel on Sheikh Zayed Road in Dubai, United Arab Emirates. 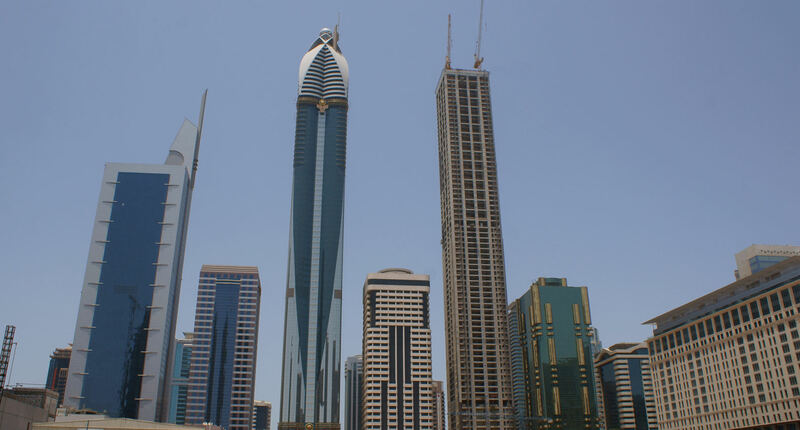 It was the world’s tallest hotel. The tower was originally to be 380 m (1,250 ft), but design modification reduced it to 333 m (1,093 ft). Construction began in 2004 and was completed in 2007. On 24 October 2006, the building reached its full height with the addition of the spire. By total height with spire the hotel surpassed the nearby 321 m (1,053 ft) Burj Al Arab. The building was officially completed with 482 rooms, suites and penthouses. The Rose Tower officially opened on 23 December 2009.